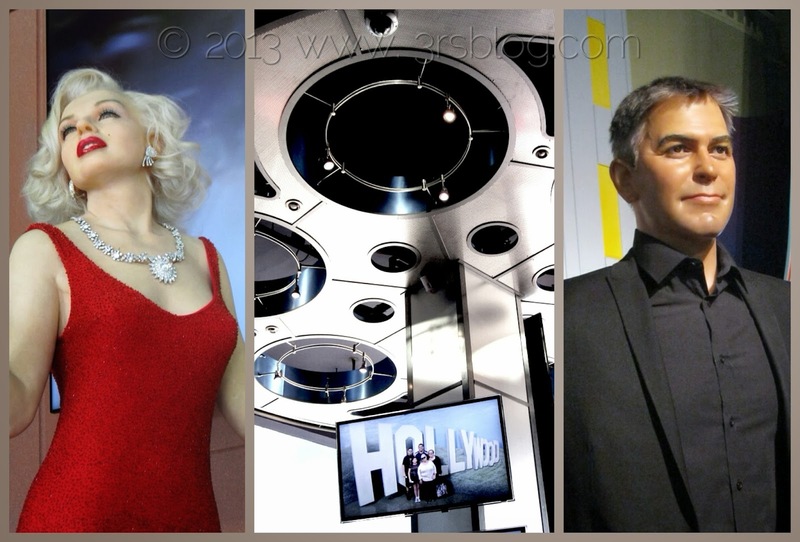 The original Hollywood Wax Museum has occupied a prime spot on the Hollywood Boulevard Walk of Fame, just east of Highland Avenue, for nearly fifty years, and is still owned and operated by the family who started it back in 1965. But this place is no dusty, stuffy relic of old-time show biz–visitors are encouraged to become part of the show here. Everything you’ll encounter is camera-ready, and you’re more than welcome to get in the picture. Tall Paul and I began our recent visit to the Museum with that wax-museum staple, the Chamber of Horrors. This version focuses on monsters from the movies, of course, and is less interactive than other sections of the museum. This is where you’re more likely to take pictures of the figures than with them. I think that makes sense, though–really, how close do you really want to get to Dracula, or Frankenstein, or Hannibal Lecter? I’d just as soon keep my distance from Voldemort, thanks. go straight to the Red Carpet, where you can mingle with A-listers like Brangelina, George Clooney, Morgan Freeman, and Nicole Kidman. Play paparazzi all you like here–it’s all designed for family fun! As you continue on, you’ll find a very eclectic mix of familiar faces in and out of character. You may see some of them more than once, in different roles–or maybe you won’t. The Museum’s collection represents nearly a century of entertainment, and is frequently rotated and updated based on visitor surveys. Therefore, you may not see the same figures on your visit that we did on ours, but you will see movies, TV, and music are all represented, and you’ll be able to get up close for photos of, and with, the stars. 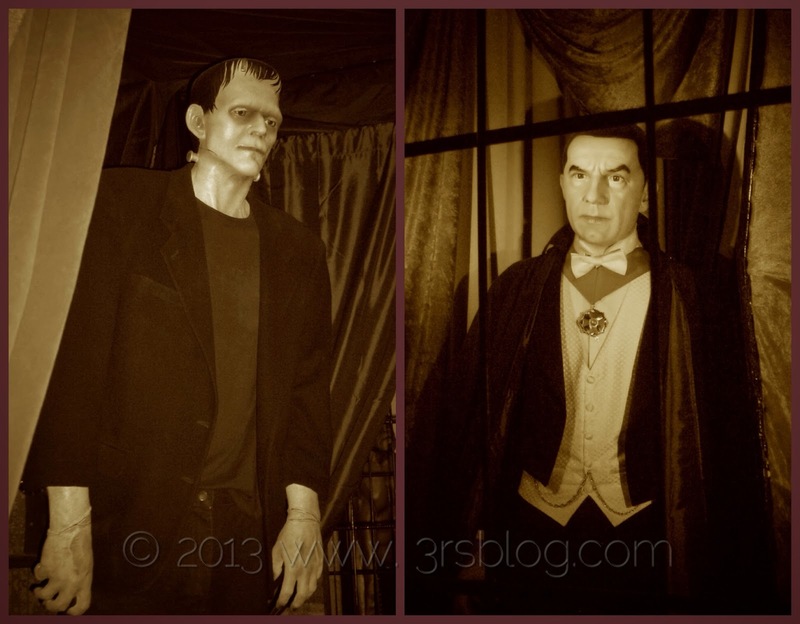 Each wax figure in the Museum is individually crafted, and so I wasn’t surprised to see that the degree of resemblance to their subjects varies quite a bit. Everyone’s recognizable, but some are remarkably accurate likenesses with an impressive level of detail–right down to Indiana Jones’ chin stubble, for example. 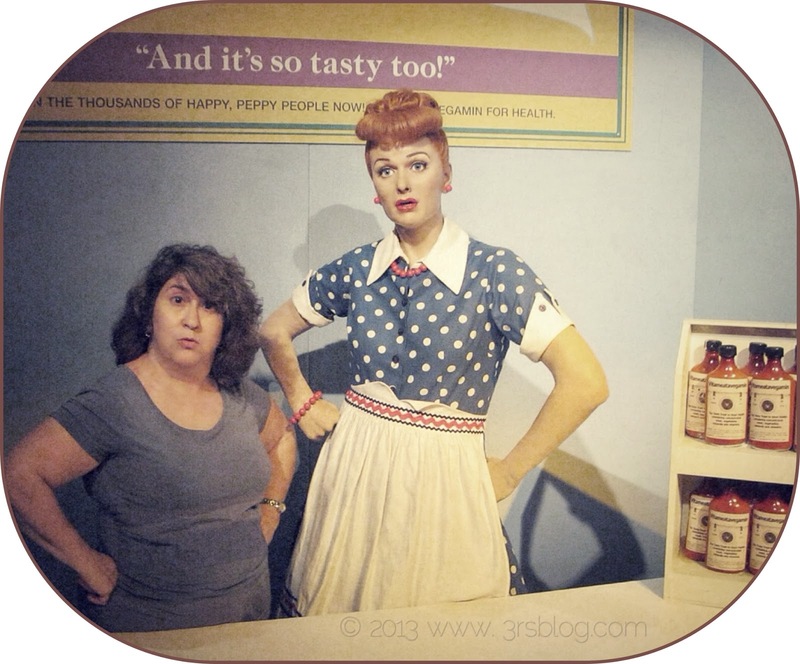 Of COURSE I love Lucy! This tribute to popular culture and entertainment offers plenty of entertainment in itself. The Museum’s website invites you to “come play with the stars,” and that’s what we did. Tall Paul and I had a fun afternoon posing and playing and making jokes among the wax figures. 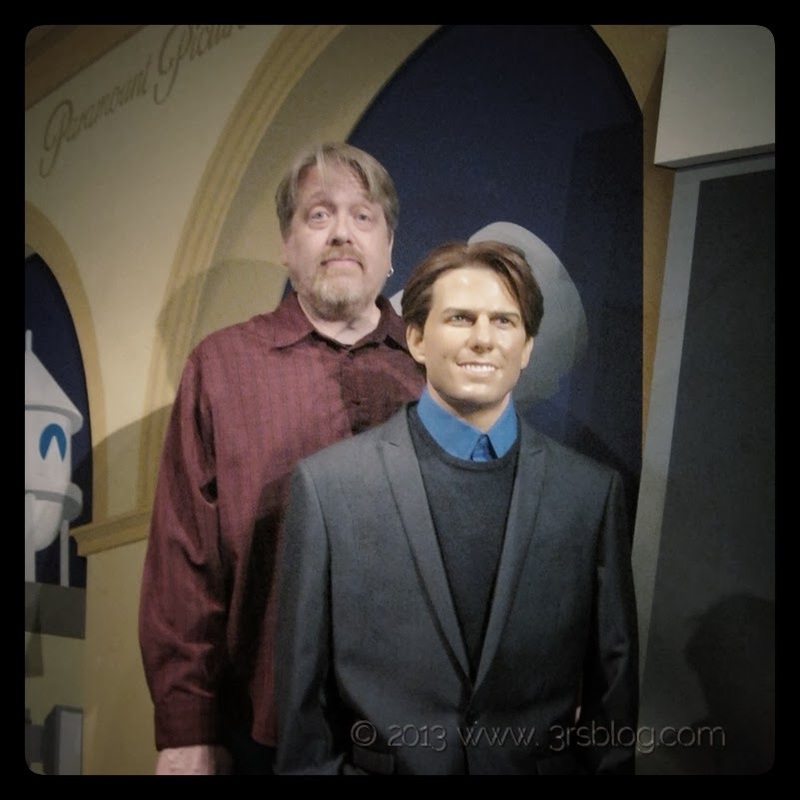 Half the fun of taking photos in tourist attractions like the Hollywood Wax Museum is coming up with the captions you’ll give them when you post them on Facebook–or coming up with the captions and then composing the photos to go with them–right? The Hollywood Wax Museum is located at 6767 Hollywood Boulevard in Los Angeles and is open daily (365 days a year) from 10 AM to midnight. Tickets are available online and at their box office. I received complimentary admission to the Museum to facilitate this post. From the (Writing) Workshop: It’s In The Bag!